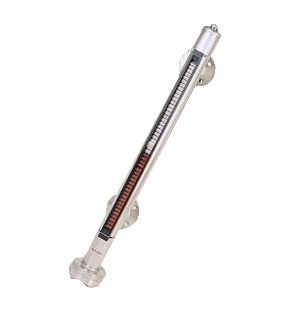 Level meters for level detection include Radar, Ultrasonic, Hydrostatic & Nuclear applications. Transmitters are a current-output device and may have two or three wires. Transmitters receive power & transmit a power output signal. Our Alloy Mini LevelSite® provides a reliable, accident-proof solution to your unique level measuring problems, especially in applications where space is at a premium. Welded stainless steel construction provides for long life and eliminates the risk of broken or cloudy glass commonly encountered with traditional sight glasses. Large, easy to read flags are completely isolated from the process media and can be viewed from over 100 feet away. Each Mini LevelSite® is customized to meet your unique specifications, and is available in lengths of up to 10 feet (3 meters). Barksdale's Mini LevelSite® is suitable for use with oil water & aggressive liquids in a wide variety of industrial applications, including food & beverage and textile dyeing equipment. Our Alloy LevelSite® provides a reliable, accident-proof solution to your unique level measuring problems. 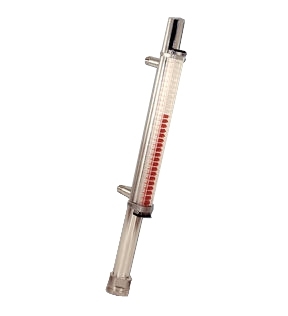 Featuring rugged, welded stainless steel construction, the process media is completely isolated from the instrumentation and rotating flags, eliminating the danger of leaks or spills. Units are virtually maintenance free, and unlike traditional sight glasses do not need to be removed from service for cleaning. Large, easy to read flags can be viewed from over 100 feet away. Each LevelSite® is available in continuous lengths of up to 20 feet or multiple lengths of up to 65 feet. Our Alloy LevelSite® is suitable for use with oil, water, aggressive liquids in oil refineries, chemical process plants, and a wide variety of other industrial applications. For more information about Level Meters and Magnetic Level Gauges, please call our Knowledge Center at 1-855-737-4715.